Plastics are regarded by some as one of the greatest human inventions and continue to benefit society in more ways than one. However these benefits come at a high environmental cost as research has shown that “over 300 million metric tons of plastics are produced in the world annually and about 50% of this volume is for disposable applications, products that are discarded within a year of their purchase”. About 50 percent of all plastics produced worldwide are disposed of within one year of being manufactured; now that is a critically important statistic when plastics have been known to have life spans over 500 years. Infact, this is the main reason behind massive waste accumulation of plastics in landfills, drainage systems, water bodies etc. Moreover, plastic’s destruction is evident when in 2009, it was reported that an estimated 150 million tons of fossil fuels were consumed for the production of plastics worldwide. Given all of these facts, it is no surprise that the pervasive use of non-biodegradable plastics has provoked many environmental and health concerns, especially in developing countries where plastic is often disposed of in unauthorized dumping sites or burned uncontrollably. One result of this broadening awareness of the global plastic waste problem and its impact on the environment is the development of bioplastics. Bioplastics are based on biomass derived from renewable resources and are in many cases more environmentally friendly than traditional petroleum based plastics. Currently, numerous types of bioplastics are under development, the most popular being “Polylactides, Polyglycolic acids, Polyhydroxyalkanoates (PHAs), aliphatic polyesters, polysaccharides”. 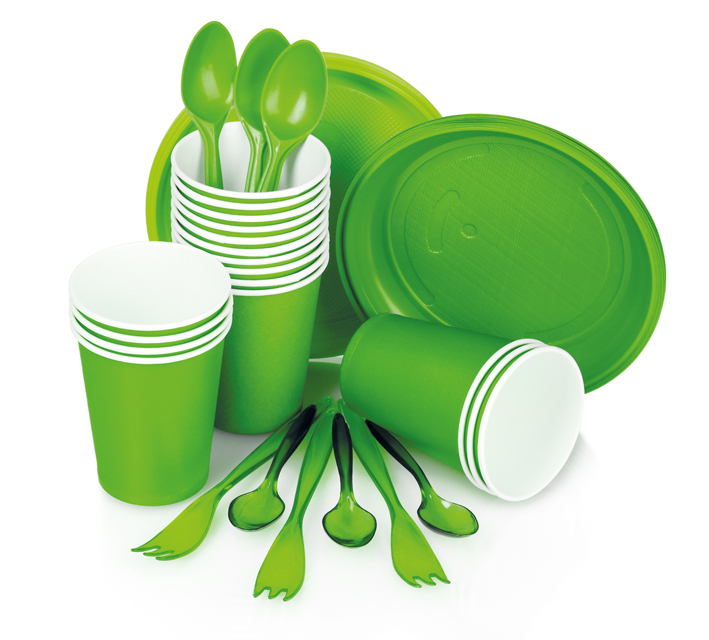 Overall, in the Plastics Industry Trade Association’s 2012 Bioplastics Industry Overview Guide, it is stated that bioplastics that are both bio-based and biodegradable play an important role in further advancing the plastic industry as a whole. Incredibly essential to note, is that within the above statement, it states, the importance of bioplastics that are both bio-based and biodegradable. This statement implys that not all bioplastics are biodegradable and/or bio-based. In fact, according to a 2011 industry report, there are many characteristics such as degradable, biodegradable, bio-based and compostable that are used to describe bioplastics. However, not every bioplastic is comprised of all of these features. According to the report, this remains a common misconception as the public at large still lacks a clear understanding of the various bioplastic related terms. For instance, it is commonly thought of that the terms bio-based and biodegradable are interchangeable. However not all bio-based plastics will degrade naturally. In fact, “many bio-based products are designed to behave like traditional petroleum-based plastic, and remain structurally intact for hundreds of years”. The American Society for Testing and Materials (ASTM) defines biodegradable plastics as a plastic in which all the organic carbon can be converted into biomass, water, carbon dioxide, and/or methane via the action of naturally occurring microorganisms such as bacteria and fungi, in timeframes consistent with the ambient conditions of the disposal method (Compostable Plastics 101). This definition implies that there is a specific timeframe for the biodegradation to take place and merely fragmenting into smaller pieces, even if microscopic, does not make a material biodegradable. This definition is commonly confused with the term degradable which is a broader term given to polymers or plastics that simply break down by a number or means, such as physical disintegration, chemical disintegration and biodegradation by natural mechanisms. After degradation, a degradable plastic can still remain in a smaller or fragmented form unlike that of a biodegradable plastic, which needs to completely biodegrade into water, carbon dioxide and/or methane. This distinction between terms results in polymers that are degradable but not biodegradable. Another term that is commonly found to describe bioplastics is ‘compostable’. Compostable is defined by ASTM as “a plastic that undergoes biological degradation during composting to yield carbon dioxide, water, inorganic compounds, and biomass at a rate consistent with other known compostable materials and leaves no visually distinguishable or toxic residues”. While the ASTM has specific standards for a plastic to be compostable such as biodegradation, eco-toxicity, and disintegration, the main difference between a plastic being compostable versus biodegradable is the rapid rate at which biodegradation, eco-toxicity, and disintegration occur. Therefore, in theory, all compostable plastics are biodegradable however, not all biodegradable plastics are compostable. Finally, probably the most often confused term regarding bioplastics is the label, “bio-based”. As defined by the US Department of Agriculture, the term “bio-based” refers to solely the raw materials of the plastic. According to the Department of Agriculture, bio-based materials that are those that are “composed in whole, or in significant part, of biological products or renewable domestic agricultural materials or forestry materials”. Since the majority, not all, of the materials have to be renewable, many bio-based plastics combine both petroleum-based materials with naturally based ones. For this reason, some researchers have suggested that a bio-based material may not technically be a sustainable product. Therefore, while the two terms are somewhat related, whether or not a product is bio-based is not an independent indicator of whether it is biodegradable. This lack of understanding between the terms is a large issue that does not get much recognition. Consumers are increasingly buying more and more bioplastics but are not fully being educated on the differences between the various different types of bioplastics on the markets. While as a whole, bioplastics may have many notable attributes making them excellent alternatives to traditional plastics, they are not considered flawless solutions. Some bioplastics encompass all of the above qualities while others may only hold one or two of these characteristics; meaning that there is a vast disparity between how environment-friendly different bioplastics might actually be. Consumers often see the term bioplastic or a bio-based plastic and automatically assume that it will breakdown into the soil like leaves or grass once it is disposed of, when as discussed, this is often not the case. All in all, given the significant differences between the terms, it is very important for consumers to know that “bio-based,” “biodegradable” and “compostable” are individual attributes and be educated on what these characteristics actually mean. It is equally important for manufacturers to be educated on these differences and make proper labeling of their bioplastic products. Niaounakis, M. (2013). Biopolymers: Reuse, recycling, and disposal. Waltham, MA: William Andrew Publishing. The Society of the Plastics Industry, Inc. (2012, April). Bioplastics Industry Overview Guide. Tagged Bio-based, Biodegradable, Biomass, Bioplastics, Compostable, environment, Petroleum, Plastics, Polymers, Sustainable, What is Bioplastic. Bookmark the permalink.